Do you experience joint pain or ache along with digestive problems like heartburn, indigestion, acid reflux, constipation, or diarrhea? The healing rate of the body, specifically, muscle, joint, and spine are certainly influenced by these conditions. If you have chronic pain, digestive dysfunction, fatigue, insomnia, or depression, The Heritage Integrative clinical nutrition and joint program can help solve your problems and prevent future illness. The daily decisions we make, like drinking coffee in the morning before eating food, or skipping meals, can not only affect our digestive systems, they can slow the healing rate of our muscles, joints, and spine. 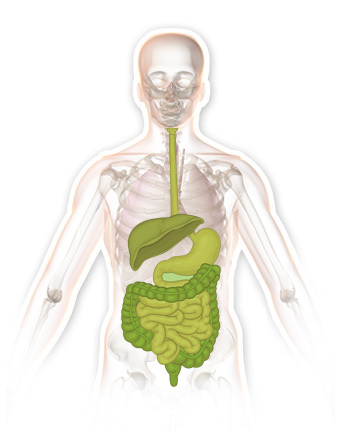 Our doctors trained in the Clinical Nutrition and Integrative Healthcare can help you learn about the causes and most importantly the correction of digestive dysfunction. Our experienced doctors can recommend alternative and integrative solutions for your healing. 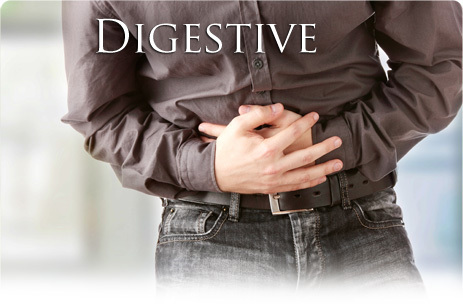 We offer non-pharmaceutical and non-surgical alternatives for many different digestive conditions and symptoms. Please visit our treatments page to learn more about how we can help you with these conditions.